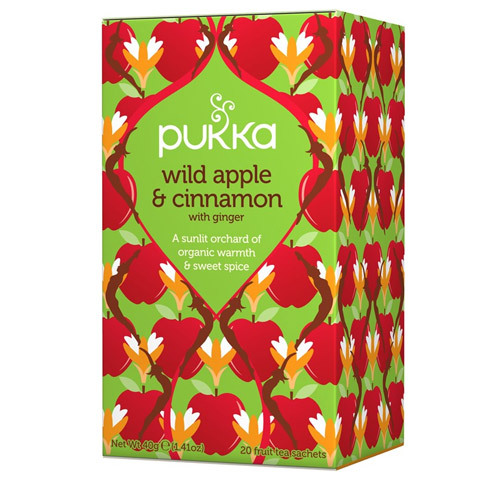 Pukka Teas Wild Apple and Cinnamon is a fairtrade organic herbal tea with cinnamon & sweet vanilla. Cinnamon bark, Licorice root, Ginger root, Orange peel, Chamomile flower, Wild apple, Cardamom pod, Orange essential oil flower*, Clove bud. 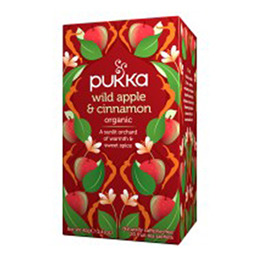 Below are reviews of Pukka Teas Organic Wild Apple & Cinnamon - 20 Teabags x 4 Pack by bodykind customers. If you have tried this product we'd love to hear what you think so please leave a review.